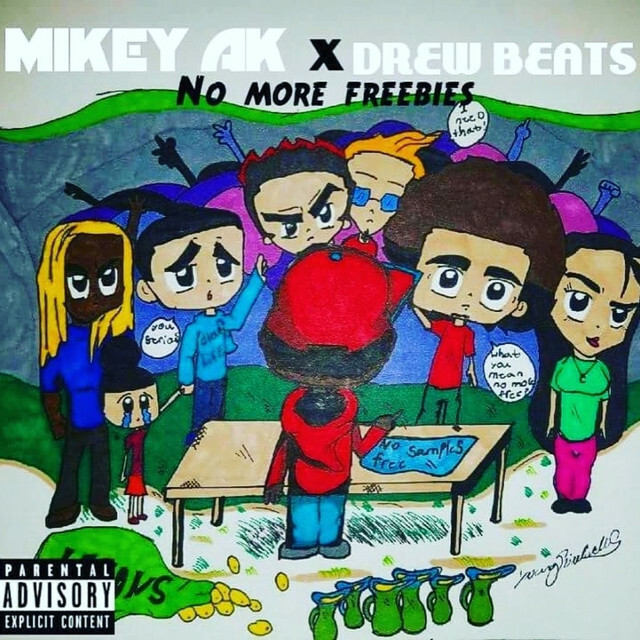 Maryland-based artist Mikey AK presents his brand new EP, No More Freebies, that’s a follow-up to his previous release, One More Freebie, via Cloud Life Entertainment. For No More Freebies, Mikey doesn’t hold back on the lyrics as he drops bar after bar over hard-hitting, trap-infused production, handled entirely by Andrew “Drew Beats” Bowers. While Mikey’s last mixtape effort boasted 16 songs, he kept things light this time with 7 tracks that each pack a potent punch and displays his witty yet realistic approach to life. Aside from his clever rhymes, he also includes subtle messages of hope and positivity which he hopes sparks inspiration in others while listening to the album. No More Freebies counts as Mikey’s 13th project since he began creating music in 2009. What sets the new EP apart from his last 12 projects is that he’s not giving his music away for free this go-round, hence the title. With that said, make sure to support Mikey AK’s artistry by streaming and purchasing No More Freebies on Spotify below as well as iTunes here.